Purchase Snickers packs with the unique code, available in 35g and 55g multipacks and FUN Size chocolate packs. Check out your unique code by peeling back here. 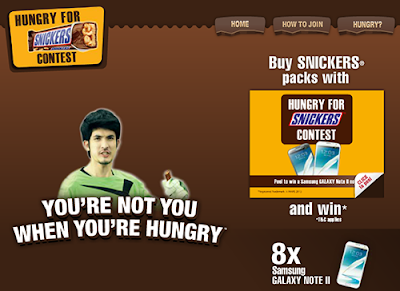 Submit the unique code online at Snickers Malaysia Facebook fan page. Every 100th submission will get a chance to enter a slogan. 8 most creative slogans win. Visit Snickers Malaysia Facebook fan page for more details.